This girl is a lovely image of her sister, mom and dad. 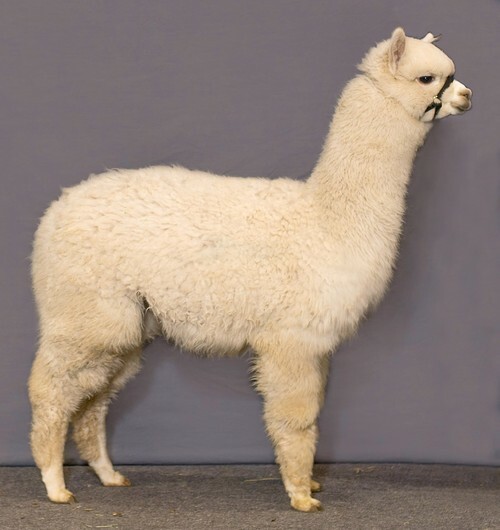 She has the same lustrous and soft fiber, great density and staple length, and shiny white glow to her fleece. Her crimp is as good or better than her sisters, pictured below. You love the feel of it in your hand. Includes her first breeding to any of our unrestricted herdsires.